Get security plus convenience with a business automation system you can access from anywhere. Business automation and security systems go hand in hand. Our automation systems integrate seamlessly with your business security system for added security and convenience. 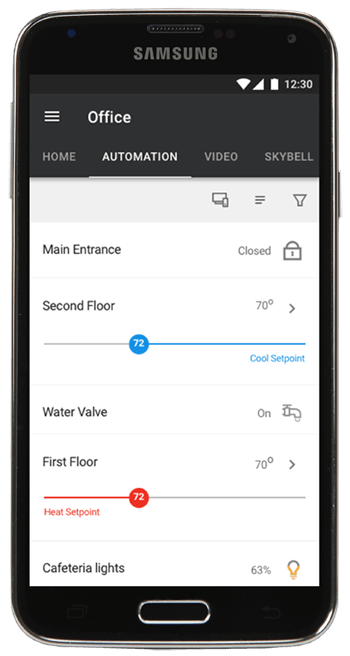 Automate your thermostats, locks, and lights using a touch screen keypad at the office or Habitec Connect App on your smart phone. It’s convenient and easy. 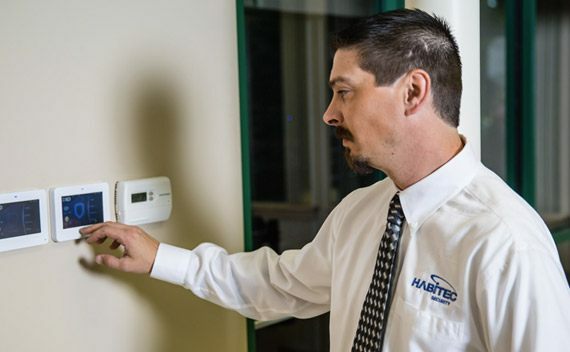 Enjoy energy savings and peace of mind when you choose a Habitec business automation system. Pair automation technology with a business security system for a seamless solution. Add business automation to your security system to improve energy efficiency and provided added convenience. Business automation and security systems are designed for your specific needs.